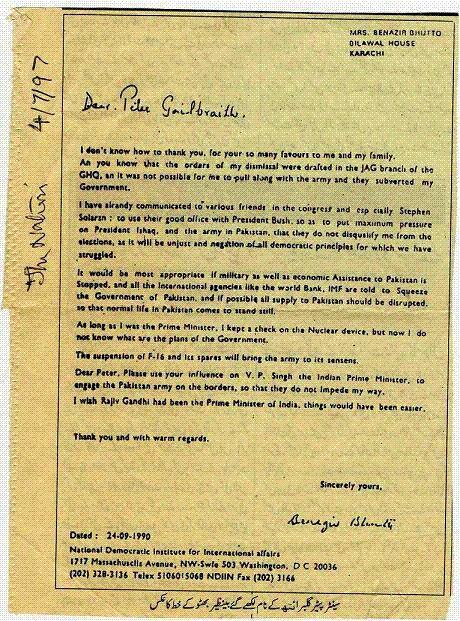 Editor's Note: The following copy is of a letter that was by written by Benazir Bhutto to Peter Gailbraith a US senator. We have reproduced the letter as is without any alterations whatsoever. We would leave it to our readers to reach to an independent conclusion. Does our leaders keep Pakistan 's interest first?